A family is counting on the fingers of a single hand its hopes for Brazil to win a sixth World Cup championship. 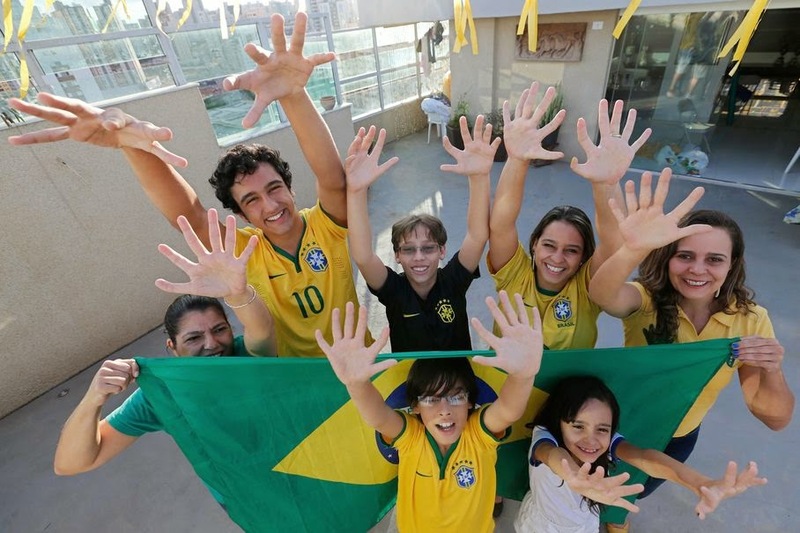 All the members of the Silva family living in Aguas Claras, a town on the outskirts of the capital of Brasilia, were born with an extra digit on each hand as a result of a genetic condition known as polydactyly. Rather than recoil in the face of stares by curious onlookers, the 14 members of the family spanning four generations seem to embrace their physical difference with pride. And that pride never shines more brightly than during the World Cup as they relish the attention of Brazilian media, which have trained cameras on the family as much of the South America nation crosses its fingers hoping the national team will add to its record five World Cup titles. 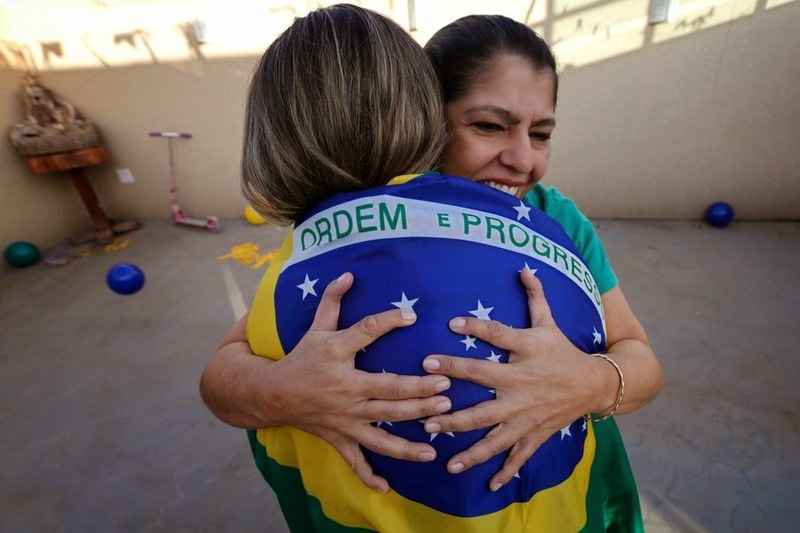 "Since the last World Cup we wanted Brazil to become hexacampeao," said Ana Carolina Santos da Silva, using the Portuguese term for "six-time champion" that would be the envy of the soccer world. "But it didn't happen, so this year we really want Brazil to achieve the sixth." Far from a hindrance, having an extra finger seems to help the Silva family perform domestic chores and pursue musical talents. Fourteen-year-old Joao de Assis da Silva shows off his dexterity moving up and down his guitar's fret board. His 8-year-old cousin, Maria Morena da Silva, has dreams of making music too. "I have never played the piano, but I want to learn, and it might be easier playing with six fingers," she says.